They have effectively blocked the international aid during the Nargis (an Urdu word meaning daffodil) cyclone of the May 3rd 2008 that hit the delta area resulting in 200,000 immediate death and 3 million people made homeless. Yet the Burmese government will not let the international aid to come in for fear of black lash resulting in more deaths. Instead it concentrated in pushing its own Constitution which the people now label as the Nargis Constitution of 2008. Now again the same generals but this time wearing gaung baung (Burmese headdress) are refusing humanitarian aid to the Northern Burma which they deliberately caused by mounting a major military offensive using helicopters, chemical weapons breaking their promise to scale down the military operations. In Western Burma, the Generals deliberately creating a sectarian strife in their ethnic cleansing policy so much so that the head of the UN Humanitarian Affairs Under Secretary General, Valerie Amos is calling on the Burmese government to allow in the humanitarian aid. The world has never seen such a cruel and heartless generals, so uncivilized mounting a holocaust towards its own people and yet the West have eulogise their steps towards democracy. To be candid both the retired and current Burmese generals did not care a fig about democracy, they only care that the international community sees them as they are doing for democracy and managed to pull Daw Aung San Suu Kyi into their team to smokescreen their sordid actions. Organisations that work to promote the rights of all people of Burma have express their deep concerns about the shortfall in funding for the humanitarian operation to assist people in Rakhine State who have been affected – directly or indirectly. A total of $32.5 million was ear marked and so far, donors have pledged only $14.9 million to the Rakhine Response Plan, of which and $4.8 million of that came from the UN’s Central Emergency Response Fund. Because of the direct manifestation of the funding gap, there is severe overcrowding, above emergency levels of child malnutrition, totally inadequate water and sanitation, and almost no education available in the camps. Given the current situation of segregation of the Muslim community outside of the town in Akyab many agencies are hesitant to provide assistance to these camps because of a fear of being accused of colluding with the government’s segregationist policies. A humanitarian imperative to provide assistance without further delays is necessary to ameliorate the conditions in the Muslim camps is a matter of urgency. In northern Burma the Tatmadaw intensifies by opening another front last week, government artillery units and helicopters launched attacks in the Lajayang area nearby the Kachin headquarters, located on the Burma-China border. It was only the young soldiers of the Tatmadaw who sustain thousands of casualties as they were used as cannon fodder while the generals stay smart in their luxuries houses and earnings from the sweat and blood of the people especially with the joint ventures of Chinese companies. The people of Burma and even a growing number of their representatives in parliament believe that China is going too far in exploiting Burma’s abundant natural resources. Via a new network of pipelines, China has siphoned vast mineral wealth and energy in the form of hydropower from dams and petroleum. The labor unrest in the copper mining town is the latest example of how China is using its ‘soft power’ i.e. economic influence to achieve its goals — rather than the ‘hard power’ of military strength, is increasingly being met with popular resistance in Burma. “China itself cannot do what it wants to do. Doing what one wants to do without a compromise is not democratic. Burma needs to try promoting democracy. We must bravely put forward the truth,” said Daw Aung San Suu Kyi and yet the report has not come out yet even though the government has apologized to the monk for the 29th Nov crack down on the protesters camping outside the mining project seriously injured 74 people, including dozens of monks. Those public demonstrations have prompted a round of arrests of activists still going on at the time of this writing. These strikes at the copper mine raise issues of labor rights violations and of China’s aggressive presence in Burma. This has left some observers wondering whether the Burmese government, which speaks of a new era of democracy and of opening to the Western world, is staying true to its word. The truth is that the government continues to use the threat of arbitrary arrest to intimidate dissidents. Until this is no longer the norm in Burma, it will be meaningless to speak of Burma as a democratic or even democratizing nation. All these rising tension and military offensives comes just three weeks after President Obama and Secretary of State Hillary Clinton made a historic visit to Burma, a diplomatic initiative that was widely viewed as a new spirit of engagement between the US and Burma. It is time to re-think the US Policy towards Burma again in face of this humanitarian crisis as the President’s visit seems to send the wrong signal. Human rights groups have also consistently argued that sanctions are being lifted too rapidly. The rapid change in Burma policy—in one year from “maximum pressure” to lifting the principal parts of the sanctions without any benchmarks outlined by the United States is appalling. Besides, the US did not say anything what constitutes cause to re-impose sanctions. Congress should reassert its role in Burma policy and set clear expectations for the prevalence of democracy and human rights in Burma. The Thein Sein Administrations had not released all the political prisoners especially those of the ethnic nationalities. Mounting a major military offensive in Kachin State creating massive refugees and besides there was simply no dialogue of whatever category with the ceasefire groups for a full peace treaty. And the most important aspects is they don’t have the will to do so. No inkling to be treated equal with the other ethnic nationalities, the non Myanmar that constitutes about half of the population of Burma. No talk of Constitutional reforms that guarantee an acceptable level of autonomy, empowerment, and resource sharing. If Burma fails to meet these criteria, the U.S. should oppose assessment missions, technical assistance, and loans from international financial institutions (IFIs). Nothing in Burma—or Southeast Asia for that matter—has offended the conscience in the past several years like the plight of the Muslims in Burma’s western border state of Rakhine. In addition to ending the holocausts, the quasi military government must extend and codify political reforms including lifting the restrictions on the media. President Barack Obama’s November visit to Burma is but one of gentle persuasion and positive reinforcement, to extend a hand to an unclenching fist should now be follow by tough actions. The U.S. needs a policy response which must be the goal of liberty for the entire people of Burma and not confine to the Myanmar race only, but also the ethnic nationalities, the Non Myanmar.. There must be a clear downside for the regime if it falls short. It is high time for the US policy makers to rethink whether the Burmese reforms of the new quasi-civilian government have the genuine political will to see to their democratic conclusion or are they making enough reforms to get sanctions lifted and chair the Association of Southeast Asian Nations in 2014. Besides the illegitimate Nargis Constitution and election that brought the ruling party to power was rigged, its legitimacy is still in question. However, the fundamental reason is that the leaders of the government and the leading members of parliament have not yet changed their basic mentality. They have not acknowledged that the brutal repression subjected the Burmese people to for the past 20 years was wrong, and vowed that the new government would correct the damage done by its past human rights violations, mis-governance and cronyism. Hence, if they can't understand and acknowledge their past faults and mistakes, then it is still possible for them to repeat these actions anytime they feel it is in their best interests to do so. Not that we are requesting a full-blown mea culpa to the people of Burma at this juncture, but they at least need to demonstrate by their actions that they understand the repugnance and damaging consequences of their past activities. But still if the US Administration believes that reforms in Burma are not “irreversible,” the Congress should reinforce this by affirming precise criteria and tying failure of the Burmese regime to achieve them to re-imposition of the major sanctions already lifted. In so doing, Congress will reassert its traditional role in Burma policy. Or will the 2nd Obama administration repeat the same mistake as the Trial of Tears (In 1838 thousands of Cherokee, native Americans who had fought side by side with the Caucasians were forced to leave their ancestral lands were forced to embark on a brutal march Westward where many died of cold and starvation) and let the Non Myanmar ethnic nationalities to suffer in this globalized and digital age? Suu Kyi is in a precarious political situation in Burma in which she is hard put to support any sanctions on a government of which she is now part—although she does say the sanctions now being lifted were critical to moving Burma to the point where it is today in the political reform process. She is hardly in a position to refuse a visit to Burma by the American President or Secretary of State. In fact, her concerns about the President’s visit were also overridden. The U.S. is Daw Aung San Suu Kyi’s principal international supporter. With no credible threat to publicly oppose or dispute the details of U.S. policy and with little independent congressional support, she has no leverage in the relationship. Suu Kyi undoubtedly supports the change in the nature of U.S. policy. Guaranteeing rights of expression, association, assembly, and religion is crucial. To continue the current open-handed policy, the Obama Administration should certify to Congress at a minimum that there are signs of continuing “progress” across the range of freedoms necessary to ensure the rights of the Burmese people. New laws should truly liberalize, not simply establish more efficient frameworks for determining and enforcing penalties for political crimes. Will it be possible to re-impose the ban on investment, retroactive to July 2012, when the restriction was lifted? Restore the export restrictions on financial services, reverting to the conditions of the general license issued on April 17, 2012. The license made exceptions for not-for-profit activities in basic human needs, democracy building and good governance, education activities, sporting activities, non-commercial development projects directly benefiting the Burmese people, and religious activities. The US should also see that the coming election in 2015 are “free and fair”, as determined by international observers. The Burmese government should allow into the country any reputable international observer group, private or governmental, to certify the elections. Implement constitutional reform that curbs the military’s control over the civilian government. Burma should end the military’s guarantee to one-fourth of the seats in the national and local assemblies. This goes directly to the right of the Burmese people to change their government and its ability to carry out further constitutional reform. A democratic victory in 2015 and peace in ethnic areas will be incomplete if the Burmese military retains the power to block government action. The US should re-impose the ban on Burmese imports. The Thein Sein Administration is still dominated by the hard line faction of the Tatmadaw and if Burma fails to meet any of these benchmarks, still several leverages remain: presence e.g. U.S. ambassador in Burma, availability of financial services for nongovernmental organizations, humanitarian assistance, democracy promotion assistance, counternarcotics assistance (if Burmese authorities are certified cooperative), and visas for selected pro-reform Burmese officials to visit the U.S. All these should be used to inforced on the uncivilized Burmese Generals. This level of activity is appropriate given the changes that have happened over the past year and a half. By the same token, if Burma meets all of the criteria, including an election in 2015 that honors the right of the Burmese to change their government then the US should eased, many sanctions.. Lifting these residual sanctions will depend on continued progress on rule of law and reforms in other specific areas, including the use of forced labor and child soldiers, repatriation of refugees, treatment of internally displaced people, and withdrawal of government troops from ethnic areas and most importantly stopping the holocaust unleash by these uncivilized Burmese Generals. Even with a legitimate democratic government, the military could conceivably continue to exercise an unacceptable degree of autonomy. Restrictions on military-to-military contact and assistance programs, including I-MET, as well as the arms embargo should be the last sanctions lifted. This will give pro-reform forces appropriate leverage long into a genuine post-election transition to civilian rule. It is high time that the US Administration’s policy of “action for action” be practiced. The second Obama Administration has emphasized that as long as the legal framework for sanctions remains in place, it has insurance against the Burmese backsliding on reforms. Congress needs to step in and add the “stick” back to a policy that has become all “carrot.” It can do this by reasserting its historic role in Burma policy, setting concrete objectives, and clarifying the consequences of underperformance. Or do the Burmese pro democracy movement and the ethnic nationalities of Burma will have to wait for Hillary Clinton, who initiated this action for action probably to become the US President to implement? But by that time who can say, the uncivilized generals may chose to make Burma one of the autonomous regions of the People’s Republic of China instead of giving up their prestige positions? 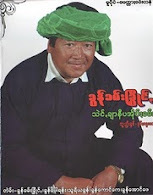 Read the Global Post The Burma Road: China and soft power in a new Myanmar 14-12-2012. Congress renewed the legal basis for the ban on imports in September 2012, and President Obama, in consultation with Congress, waived them in November. This was the last major U.S. sanction on Burma to be lifted.